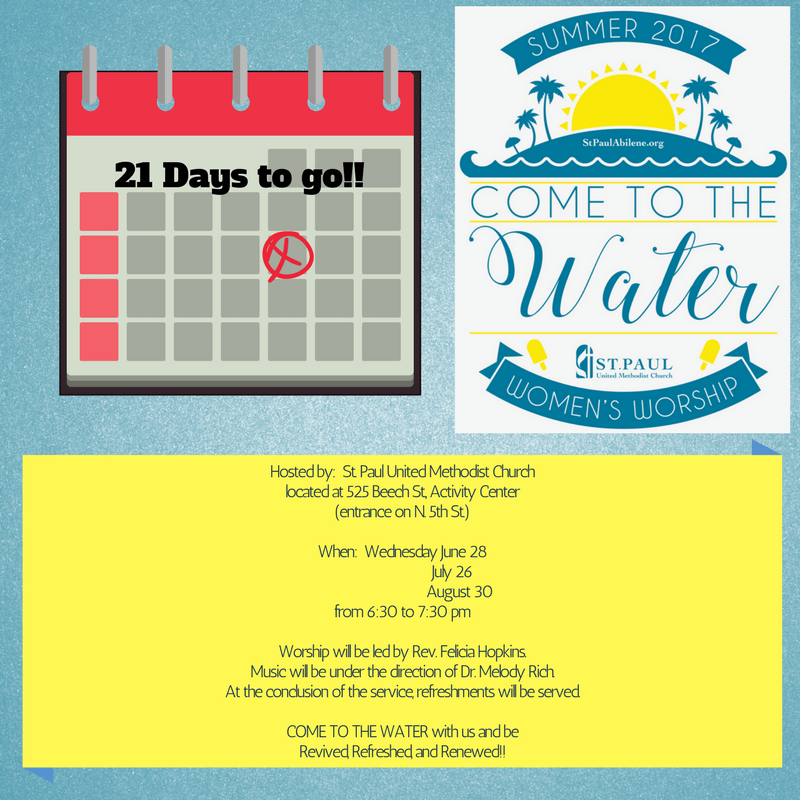 Women of all ages and religious affiliations are invited to an amazing faith and community building opportunity entitled COME TO THE WATER. Worship will be led by Rev. Felicia Hopkins. Worship will be led by Dr. Melody Rich. At the conclusion of the service, refreshments will be served.